Since 1998, Athleta has been designing the ultimate performance apparel and gear for every active woman, from the weekend warrior to the committed yogini to the competitive athlete. As women athletes, we know what you expect from your workout gear because it’s exactly what we want. Our entire collection is designed to embody our ethic of strength and beauty without compromise, so every single feature adds a performance advantage or stylistic flair. 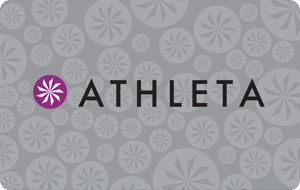 Check out our collection online at athleta.com.